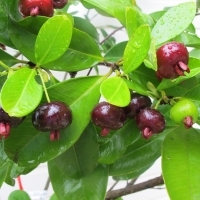 Daleys Fruit Tree has Plants for Sale to Bulahdelah and can Mail Order them to you door. Click to Find out how much Freight Will Cost. The tropical equivalent of the cherry. 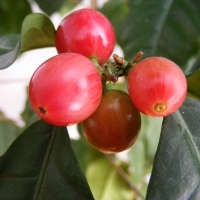 The purplish-black fruit 2cm diameter are produced in clusters. Flesh white, melting and tasty. Mostly used for fresh eating, but also highly prized for jams, jellies and pies. Attractive red skinned flesh with yellow background. Mid season, early flowering variety requiring only a medium chill. Firm, moderate juice, small to medium sized fruit. 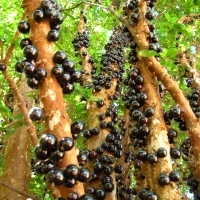 The jaboticabas habit of producing the fruit directly on the trunk makes this a striking tree. 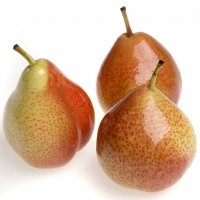 Fruit is similar to a grape with a sweet and aromatic flavour. The new growth is a coppery colour along with their beautiful honey scented flowers makes it a very ornamental tree. Bears heavy crops of quality fruit that can be eaten fresh from the tree. Often fruiting up to 3 times per year. Time from flowering to fruit being ready to eat is only 30 days. More Information: California Rare Fruit Growers Association. Resistant to both 'Berry Disease' and 'Coffee Rust' this tree was developed and recommended for growing in the Northern Rivers Area by NSW Agriculture Department after extensive trials at Alstonville NSW. An open spreading variety, it is a reliable cropper, producing large flavour-filled beans; it is also the recommended variety for those who intend to harvest mechanically.